Waking up bright and early at 5.30 am, the kids and teens from two of our disadvantaged communities — the House of Blessing and the Thankskgiving Home — readied themselves for what they have been excitedly looking forward to for weeks!! This was the Special Songkran treat that CTM had promised them!! MAY 3rd was finally here!! 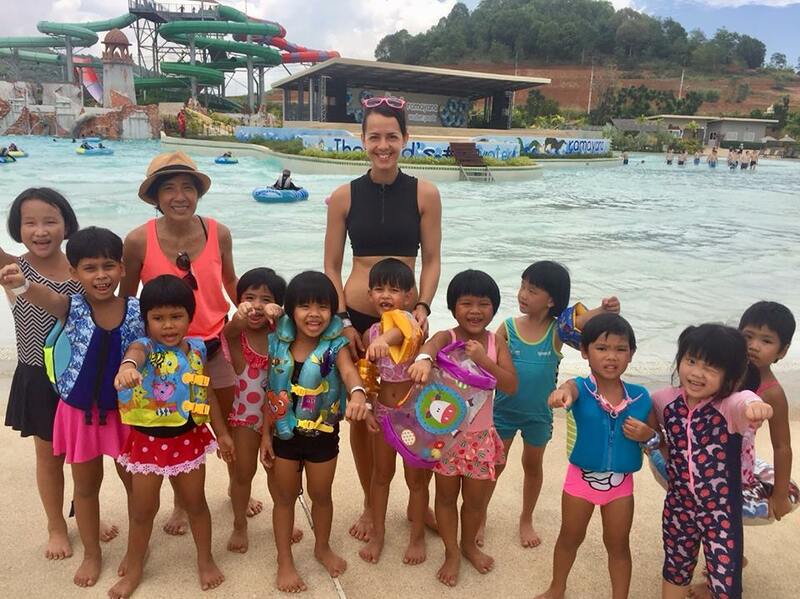 The double-decker bus rolled in to both locations and brought the kids on a 2hour+ journey to their Promised Land — the RAMAYANA WATER PARK in Jomtien! 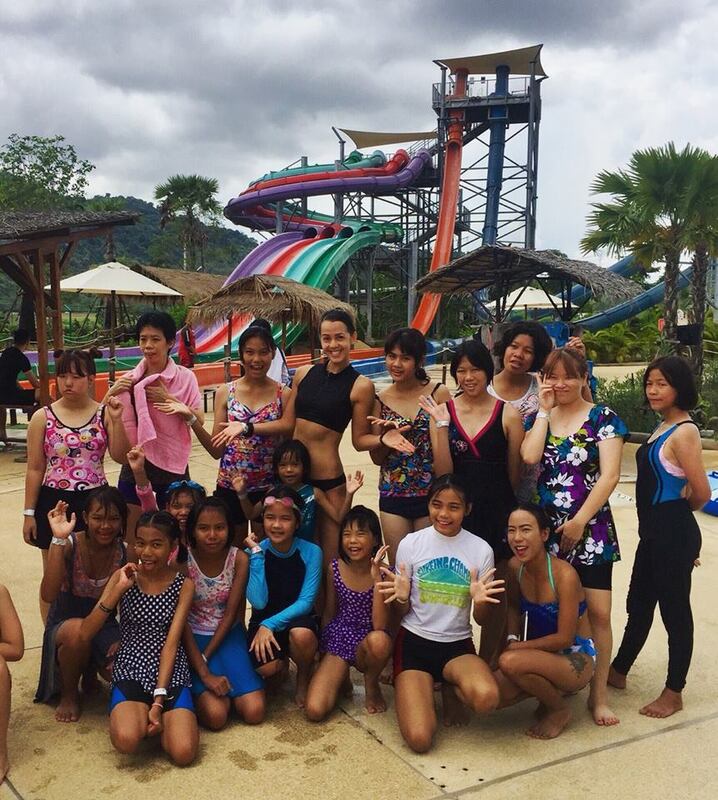 This #1 top Water Park in Thailand (also #3 in Asia and one of the top 20 in the world) generously opened their doors to host the 80 children, teens & caregivers from both Homes! With an amazing array of equipment and facilities for both the little ones and the big teens & caregivers, it was just fun all the way with simple kiddie slides to incredibly daunting kilometre-long twists and turns down massive slide tunnels! Besides that, we organised a great game of water polo between the Thanksgiving girls and the House of Blessing boys! Partway through the game, a few of the boys gallantly moved over to assist the girls and this made it an even more exciting match, ending in the girls winning! Ha! On top of all the fun, our Park hosts also generoulsy laid out a delicious spread of a sumptuous lunch of Krapow, kai dao, nuggets, fries, fruit and icecream!! Many of the kids and teens exclaimed that they never had so much fun — bet it was the same for the caregivers too! THANK YOU RAMAYANA , Mr Vladimir and Khun Coco for so kindly organising this wonderful event — the memory and experience of which will live on in their hearts for a long, long time ! 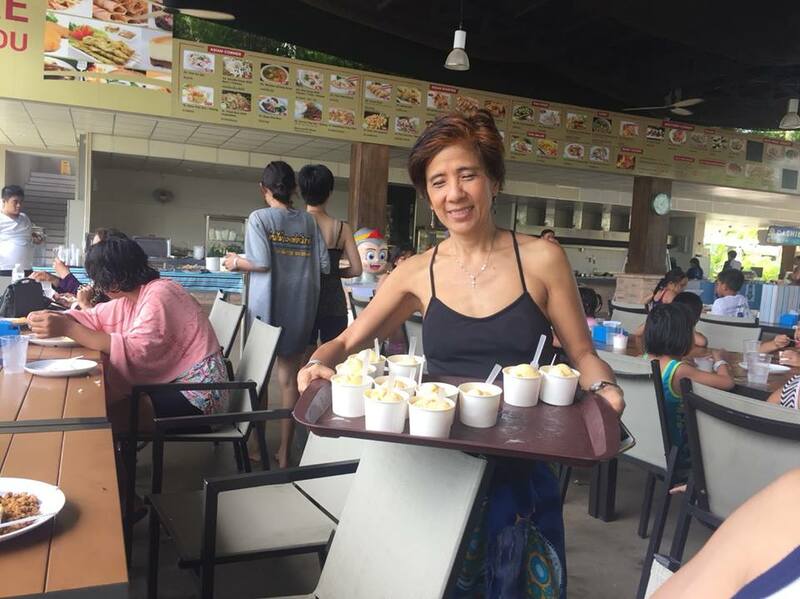 Thank you also to BAMBI (Babies and Mothers Bangkok International) for helping us cover the expenses for excursion!